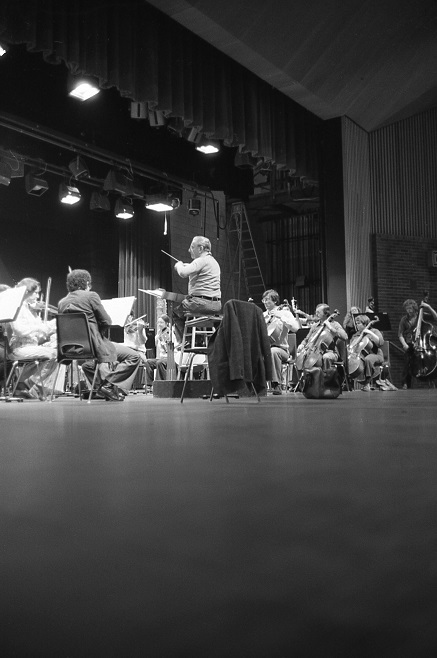 Rózsa talks to the orchestra's manager, who was one of the French horn players. 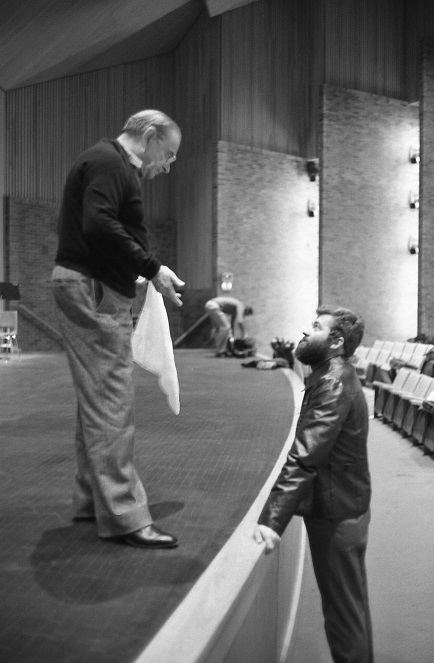 Rózsa talks to one of the members of the orchestra. 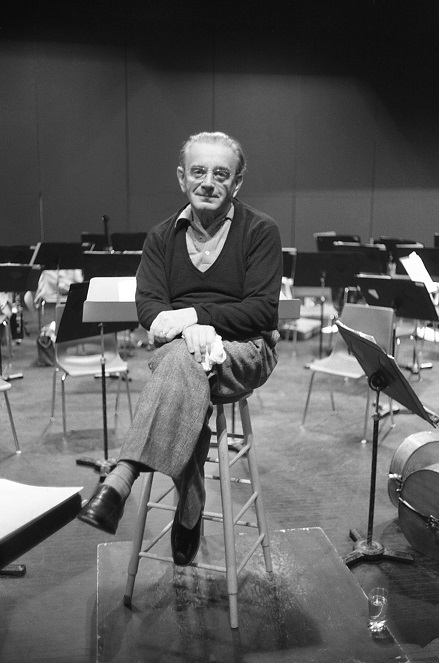 Rózsa relaxes during the rehearsal. 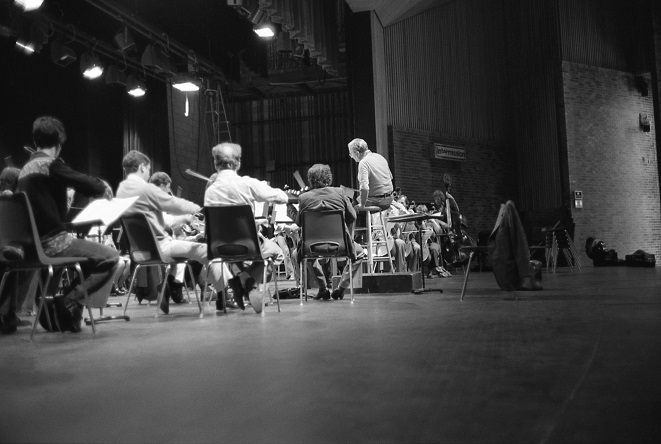 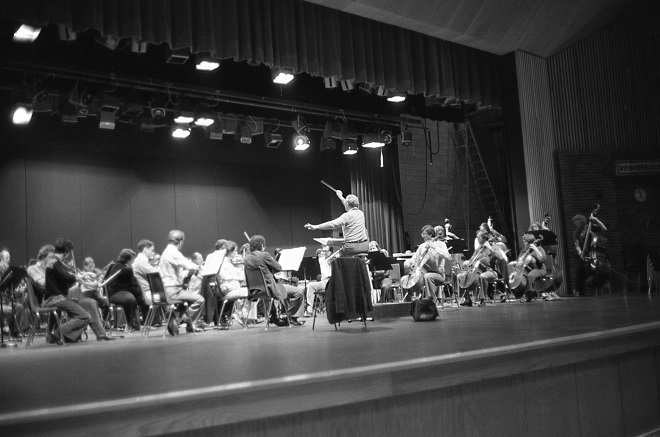 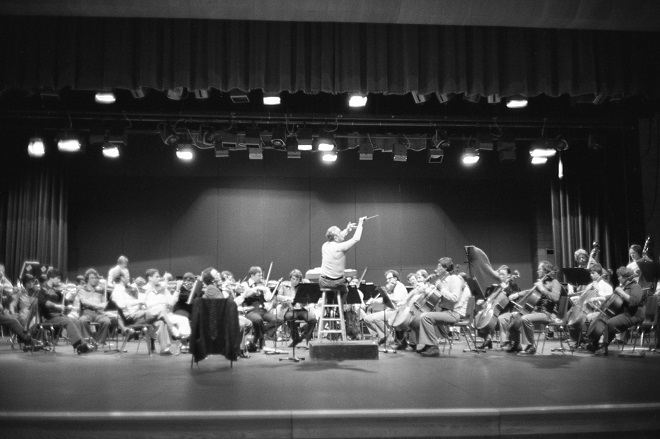 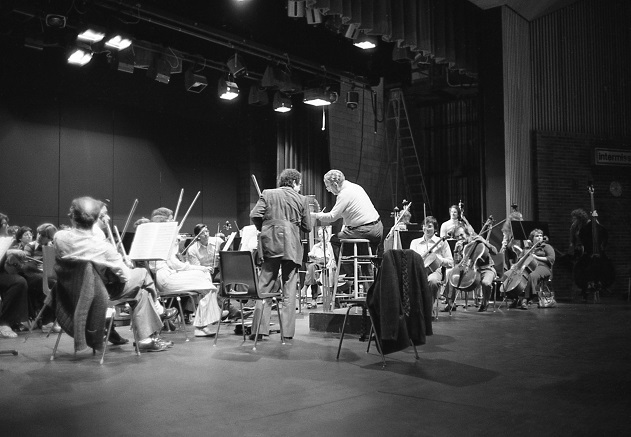 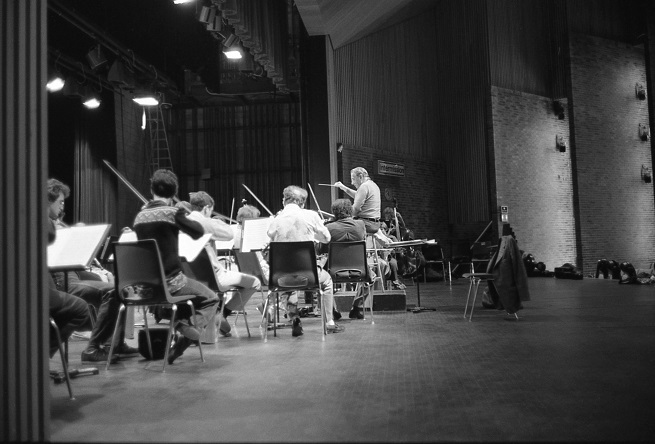 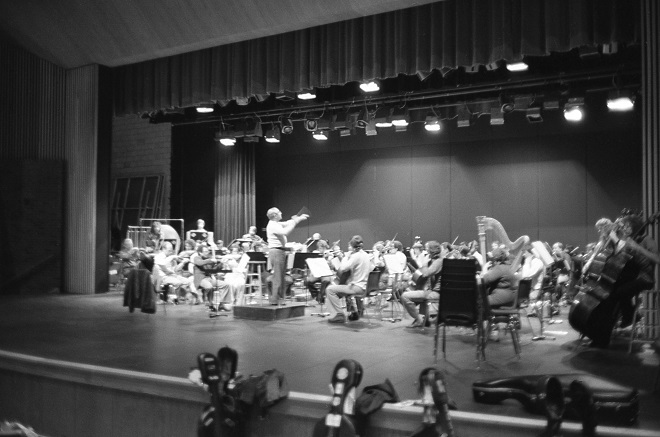 Rózsa rehearses the Hamilton Philharmonic Orchestra. 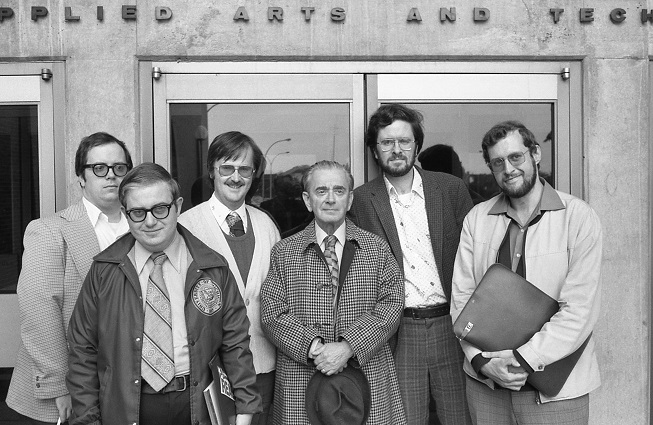 After lunch with Rózsa (he paid!). 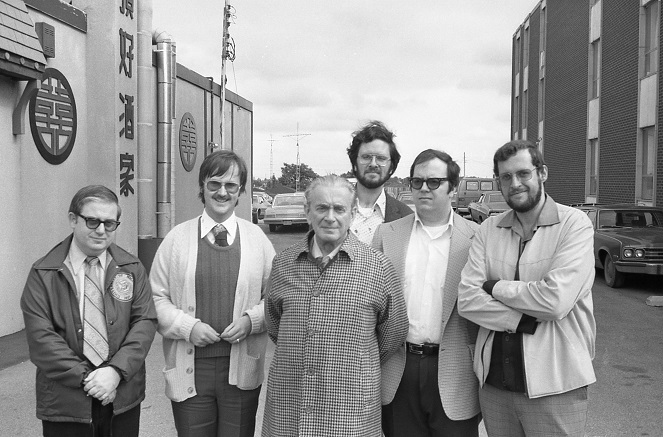 From left: Charles Rileigh, George Komar, Rózsa, Mike Quigley, Mark Koldys, Alan Hamer. 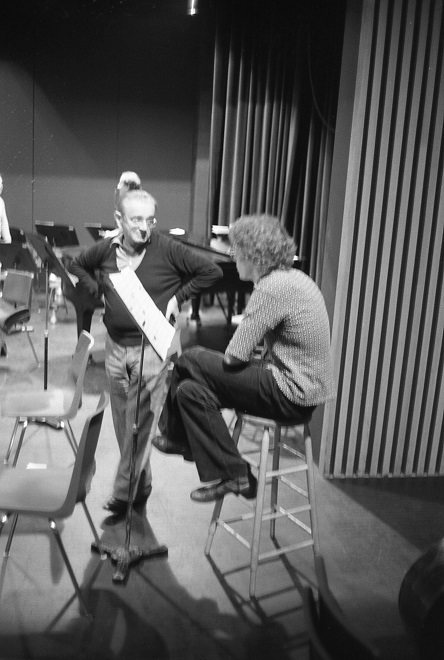 Rózsa discusses a point with the orchestra's concertmaster. 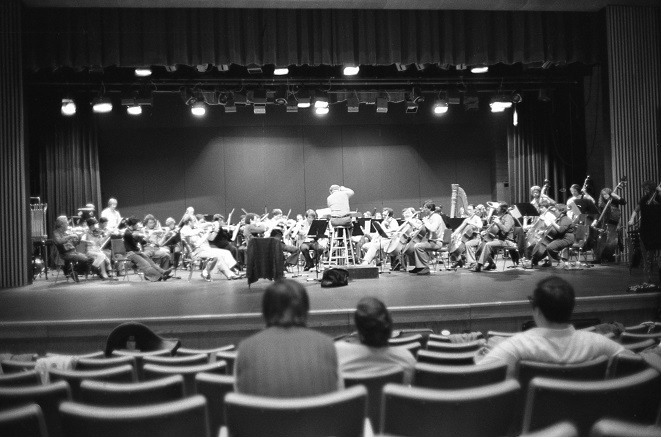 A shot of me at the rehearsal. 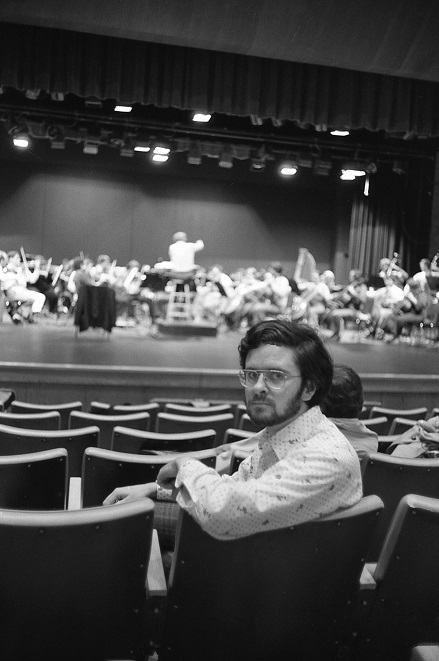 I was seriously jet-lagged at the time! 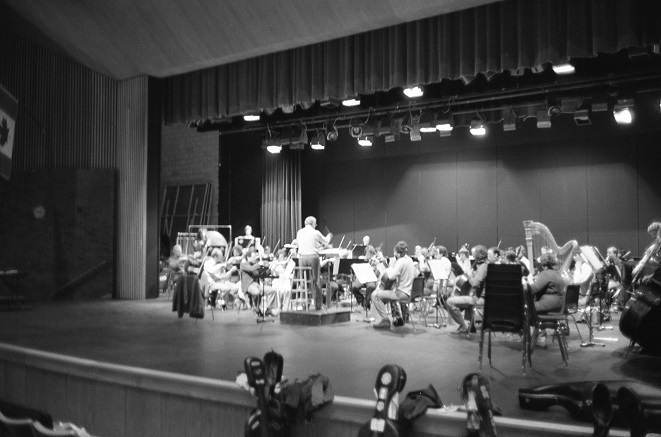 Outside the rehearsal hall. 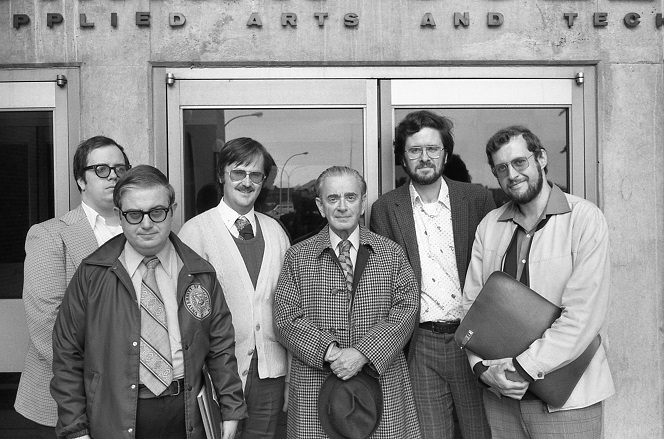 From left: Mark Koldys, Charles Rilegh, George Komar, Rózsa, Mike Quigley, Alan Hamer. 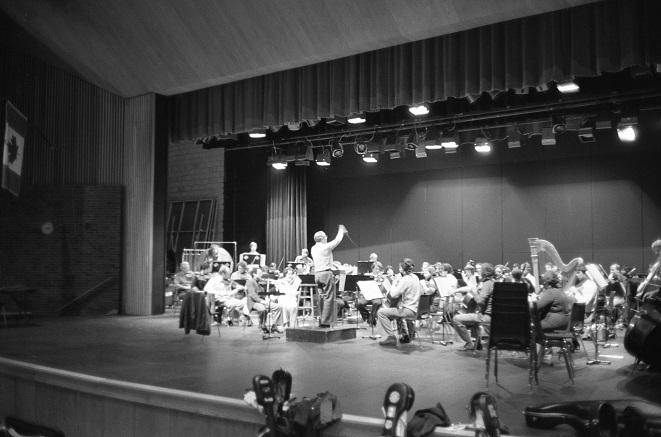 Outside the rehearsal hall. 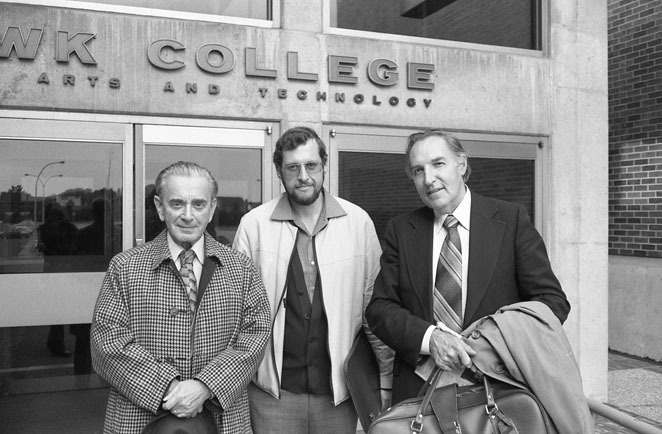 From left: Rózsa, Alan Hamer, Gerald Pratley of the Ontario Film Theatre.